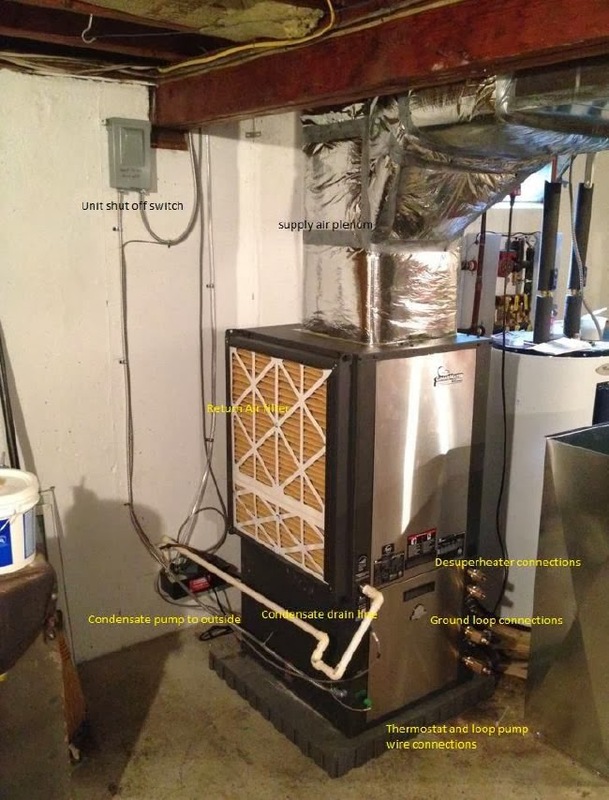 Build-It-Solar Blog: DIY Ground Source Heat Pump + PV Array -- No Heat Bills! DIY Ground Source Heat Pump + PV Array -- No Heat Bills! In this very ambitious project, Jerry goes through all the details on installing a 5000 watt PV system and a 2 ton Ground Source Heat Pump. Together they provide all of the space heating and cooling and hot water. No heat bills and very low emissions. 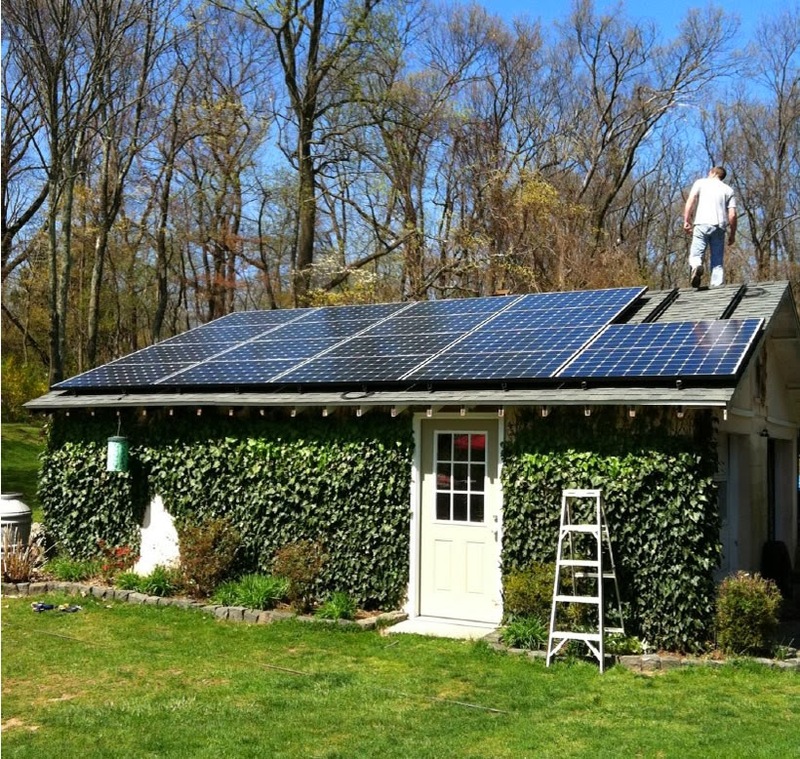 Jerry started by installing a 5000 watt PV system on his garage roof. 5 KW grid tie PV array on garage roof. 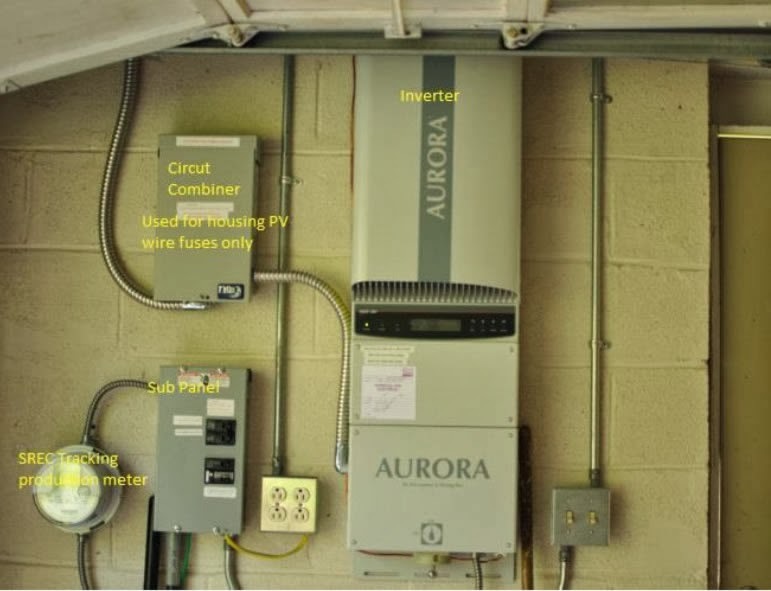 The PV system is grid tied and uses an Aurora 6000 watt grid tie inverter to produce house power and to interface with the grid. Jerry is paid 14 cents per KWH generated via the net metering agreement with his utility and is also able to sell SRECs to the utility to allow them to meet their renewable energy generation requirements with the state of NJ. The 6000 watt grid-tied string type inverter for the PV system. Once the PV system was installed, Jerry installed a Ground Source Heat Pump to efficiently use the PV generated electricity to both heat and cool his house. 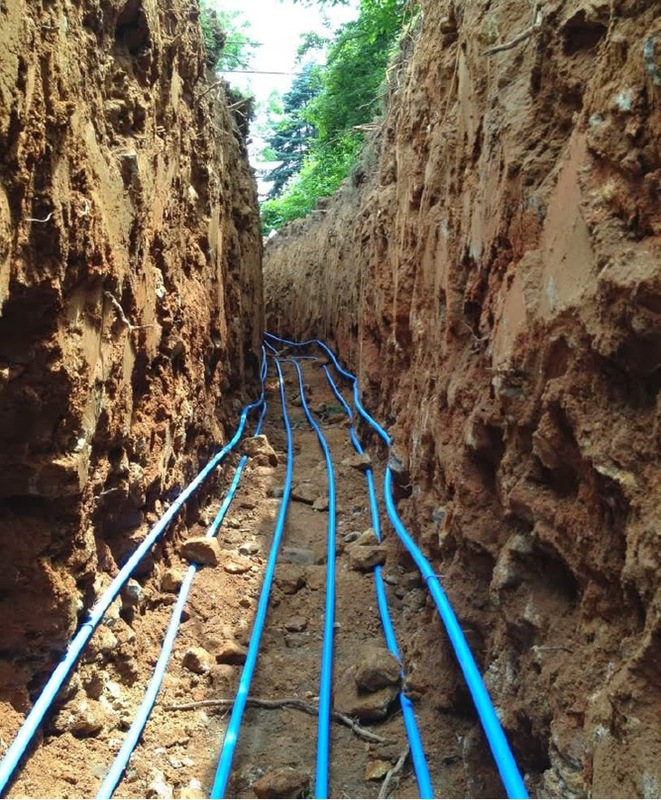 The GSHP installation involved digging a 300 ft long 8 ft deep trench, laying out the ground loops in the trench, installing the 2 ton heat pump. The 300 ft long trench for the three GSHP ground loops. The 2 ton ClimateMaster water to air heat pump. In addition to installing the 2 ton heat pump, Jerry also designed and installed a duct system to distribute heating and cooling to the house. Please, please delete the trench pic, that is an extremely dangerous thing to do. I have been in excavation for 20 years and personally know people who have been injured in trench collapses. Please follow OSHA guidelines for this kind of work. Yes, you got away with it this time. So have I until I learned, never again. Over 4ft depth requires sloping or shoring to be relatively safe. Yep, lost my uncle to a ditch cave in. Gary- What was the cost on this project? Sorry if it was posted and I missed it.